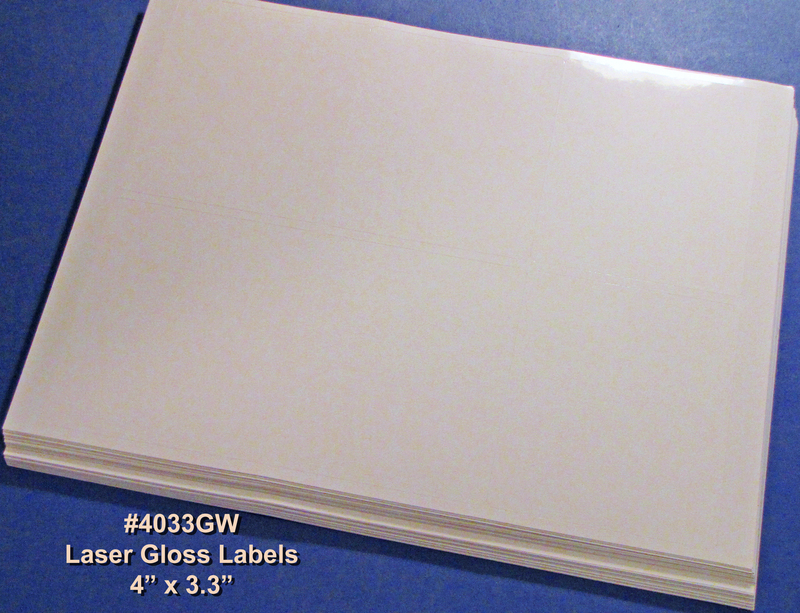 Shipping, mailing or general purpose 4" x 3 1/3" (4 x 3.33 inches) glossy white Laser Labels - with rounded corners. 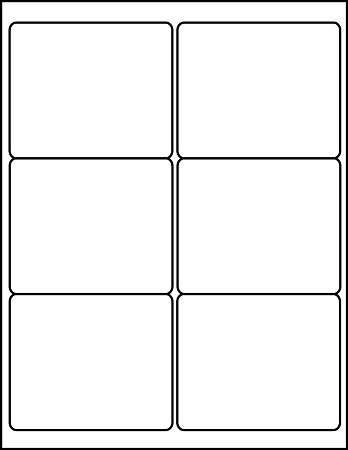 Standard adhesive, Six labels per 8 1/2" x 11" sheet. 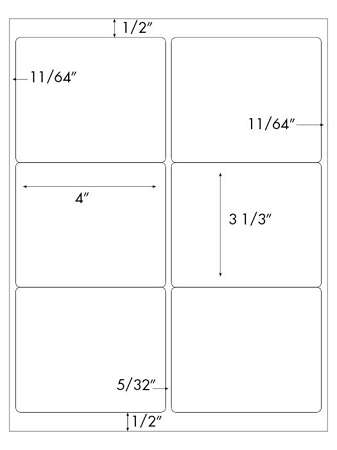 They match the 6 up shipping label sheet templates found in most popular software. 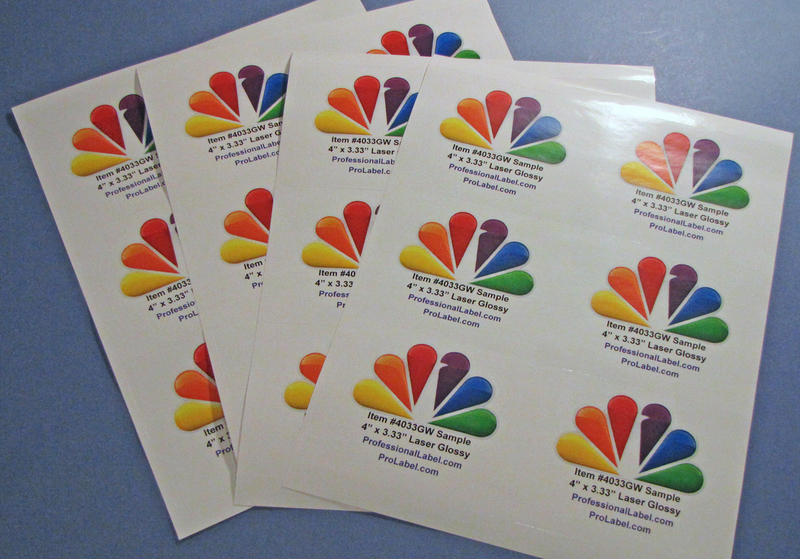 They work very well with laser printers, and offset printing. 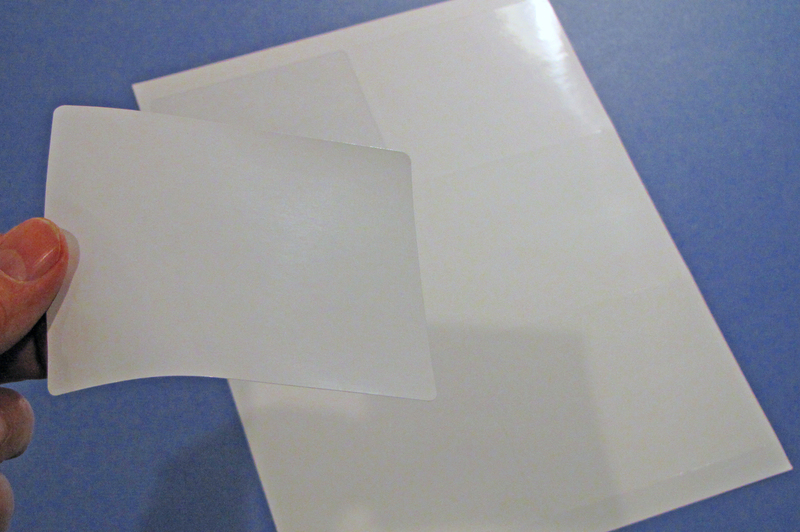 AveryAvery® and 5164, 5264 and 8164 are trademarks of the Avery Dennison Corporation. All trademarks are property of their respective owners. Connect with us on social media and stay up to date with the latest news. © 2017 Professional Label. All Rights Reserved.